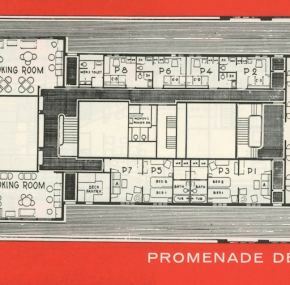 Great pocket deck plan for The Aces dated March, 1957. 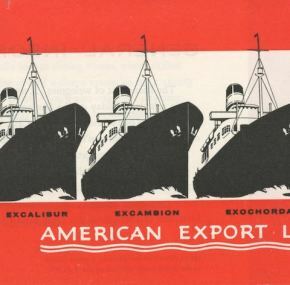 Covers all four ships, Excalibur, Excambion, Exochorda, and Exeter. A couple of interior photos and some general information in addition to the deck plans. These ships would have been great to sail on. Nice condition with some bumping to one of the corners.